The following paper is compiled from findings and research undertaken by Jan Mortier for his work at and drafting the report of the ‘From Bali to Poznan: New Issues, New Challenges’ conference that was held at the European Parliament, the first conference in the world to be held immediately after the UN Climate Change Conference in Bali. This paper draws on the conclusions and factual content of a broader Civitatis Report. The Institute for Environmental Security in association with Global Legislators Organisation fora Balanced Environment (GLOBE-EU and GLOBE-Europe) and e-Parliament convened the conference “From Bali to Poznan” to examine new issues and new challenges which will need to be addressed in the coming twelve months. This conference – the first such gathering to assess the results of the Bali negotiations – was held at that European Parliament in Brussels on 18 December 2007. The conference included a number of participants who had taken part in and just returned from Bali, members of the European Parliament, members of national parliaments, representatives from the European Council, European Commission, and European Social and Economic Committee, representatives of EU Member States, senior US military staff, UNDP, OSCE, Civitatis and the CFSP, the Club of Rome and other prominent NGOs, think-tanks, academics and researchers. This conference included briefings on the results of the United Nations Climate Change Conference which was held in Bali, Indonesia, from 3 to 14 December 2007 and enabled participants to discuss issues to be of concern to the international community during the coming year in the lead up to the next UNCCC in Poznan, 1-12 December 2008. The implications of climate change for international security. Escaping from fossil fuels: The solar alternative. The impact on environment, security and development of illegal trade in natural resources. Climate Change and the formation of European foreign policy. The exhaustive report drafted by Jan Mortier and our previous Covitatis Report: Forces for Sustainability are available upon request. The Challenge for global governance and world order in the 21st century can be prioritized in importance and therefore urgency of action by the scale and potential for adverse impact on humanity in the immediate to near term. There is an urgent need for global decision makers to address the following issues in order of importance as a priority, lest the world order be de-stabilized at best, or cataclysm and conflict ensue at worst. Climate change, for its urgent and universal effect on all humanity and the planet’s biosphere. The proliferation and expenditure on nuclear weapons by states. The new global arms race resulting from a destabilized post second Iraq war world order that has left states insecure and the hyperpower unilateral. The economic and security implications of nuclear and arms racing, that has seen global arms expenditure exceed one trillion dollars, a resource which could otherwise be put toward increased global human development, economic growth or space exploration. Poverty, which is affected by all of the above, provides a powder keg of insecurity that sees two thirds of humanity, living in atrocious inhuman conditions. The structural and institutional inefficiencies of the current world order that operates to the Westphalian paradigm and arrangement more suited to the architectural needs of the post second world war era. The outdated global architecture is grossly inadequate for the current needs of the planet, and has fostered an atmosphere of ‘it can’t be done’, and ‘the problem is too big to deal with’ as shown by the UN Climate Change Conference in Bali, where negotiations to discuss future talks at Copenhagan and Poznan very nearly failed. Each of the above challenges for world order are of the utmost importance to address, even more so as they are each interrelated to the other, and none can alone be solved without taking account of the others. However, Climate Change is the most urgent and time sensitive issue for action, that, if not resolved threatens to create a plethora problems contributing to global and national insecurity. In particular, climate change and the global rise in temperature beyond two degrees Celsius threatens to increase species extinction, kill millions of people through flooding, destabilize nations and foster wars between states as states compete for diminishing hydrocarbon resources. Policymakers need a continuous and evolving understanding of the effects that climate change has on security, but at the same time it is essential to include in any discussion and decision on climate: sustainable development and its relevance to the poorest people in the world. The tripartite synthesis of climate change, security and sustainable development will be the key challenge for future global climate policy and any strategies that are developed must allow for economic development that is environmentally sustainable. The Bali climate talks have failed to deliver the tangible results so many craved – no emissions quotas were set and the promises that were made are devoid of the facts and figures that would make them verifiable. Whilst there were concrete achievements, such as the creation of the Adaptation Fund for example, no serious political capital was expended and, perhaps more importantly, there will be no repercussions for those who fail to push the rhetoric into reality. However, even the weariest pessimist would have to acknowledge the significant step that the Bali talks made, as demonstrated by the agreement to hold global negotiations over the next two years leading to Copenhagen in 2009. We must remember that ‘We are all in the same boat’ when it comes to climate change. The clear implication of the final Bali Roadmap, most clearly exemplified in its references to the IPCC’s Fourth Assessment, is that for the first time there is global agreement that climate change is real, man-made and having an impact on people’s lives. The signs are all around us, from the accelerated rates of deforestation, now accounting for 18-25% of greenhouse gas emissions, to glacial shrinkage and rising global temperatures. Such changes are not only ecological threats; they are real and widespread security threats. Rising temperatures could contribute to the melting of the Tibetan glaciers, potentially leaving 1.5 billion people without water, and rising sea levels could start to submerge parts of Bangladesh and the Maldives among others, leaving countless homeless. The impacts of climate change are not only limited to water shortages and migrations. Population pressures, arable land shortages and changing crop patterns have all contributed to the Economist Food Price Index currently standing at its highest level since 1845. Such shifts have led some to highlight food and water, not oil and gas, as the two most important energy resources in the world. The security elements of climate change include droughts, floods, disease and food security and can be directly linked to border conflict, migration and starvation. As shown by national estimates, individual governments are largely aware of these risks and many have made efforts to mitigate them, but the international cooperation and mechanisms required are sadly lacking and must be developed in the run-up to Copenhagen. Breaking the walls of opposition and complacency requires a show of strength from the most vulnerable – the developing world – but they require support. When the representative from Papua New Guinea announced to the attendees at Bali that the US should ‘Get out of the way and leave the rest of us to it’ , the implication was clear – there is an ‘us’, and they are in it together. If the collective strength of the second and third world, with vocal European support, was one of the most surprising developments at Bali, then the reluctance of the US was perhaps the least. This dynamic between the developed and the developing world became the driving plot behind the story of Bali, with the strong opposition between the US, China and India playing a starring role. As stated by the UN and the Bali Action Plan itself, economic and social development and poverty alleviation in the developing world is an economic and moral imperative, a fact compromised by the US’s insistence that the developing world shares the burden of combating climate change equally. The US, among others, sees China and India in particular, as strategic competitors and vice versa, leading to reluctance on either side to give an inch. This intransigence stretches beyond climate change and must be viewed through the prism of international relations and global governance. Expectations on China and India to make concessions to curb their emissions must be met by concessions in global governance structures, most noticeably, and controversially, in the UN Security Council. The resurrection of the reform debate, following the UN panel report’s publication and its subsequent drop from the public radar may play a key role in the Bali Roadmap’s progress. The rise of India and China is perhaps a competing nexus of power to Europe’s role in the world as a leader, but while Europe is currently not a major player –as it has yet to put its own house in order to create a unified voice to the world– it still has a vital role to play as a torch-bearer, if not yet a consolidated political leader. Europe must address its internal and structural issues while building the will and the means for unified and coherent external policy. Europe must also deliver on its promises, as even it cannot force the world to change, but Europe can show how change can be achieved. Such vision is required now more than ever as Europe is hosting two COPs in succession, giving it more weight than it might otherwise deserve. Firstly, Europe must deliver on promises made to the developing world using development cooperation more strategically to develop its foreign policy framework – a vital long-term requirement for both Europe’s continued influence and the future of the Roadmap. Europe’s promises to increase overall aid and assistance in technology transfers have not lived up to expectations and have led to disillusionment in many developing countries, countries which Europe may come to depend upon more than she realises now. Secondly, although no global targets were set at Bali, the EU, historically a leading force in climate change debates including Bali, has led the world by example once again and set its own targets. The EU’s common policy calls for a 50% reduction in emissions by 2050, as well as an increase in energy efficiency and the controversial further use of biofuels. These targets however, look increasingly unrealistic as the aim of a 50% reduction in emissions by 2050 requires a peak in emissions production in 10 to 15 years and a 25-40% reduction in emissions by 2020. The EU-led aim of a two degree Celsius ceiling in global warming also looks to be in jeopardy according to the IPCC’s report. This would require a stabilisation of carbon dioxide levels which are currently 370 parts per millions to between 350 and 400 parts per million, along with the stabilisation of Carbon dioxide equivalent levels, currently at 455 parts per million, to between 445 and 490 parts per million. Though Europe possesses the technological capacity to achieve such goals, finding the necessary political will, investor confidence and agreement on tariffs is likely to prove far trickier. Europe must also invest in its own industries and develop technologies that tackle climate change like carbon capture and solar panels now, rather than allowing America to surge ahead such as it did with CFC remedies. One of the biggest challenges to this task comes from its own industries, both agricultural and industrial. In particular the automotive industry and the varying lobbying power that these groups possess within member countries. Here the European Commission should take prompt and emboldened steps in the European public interest. 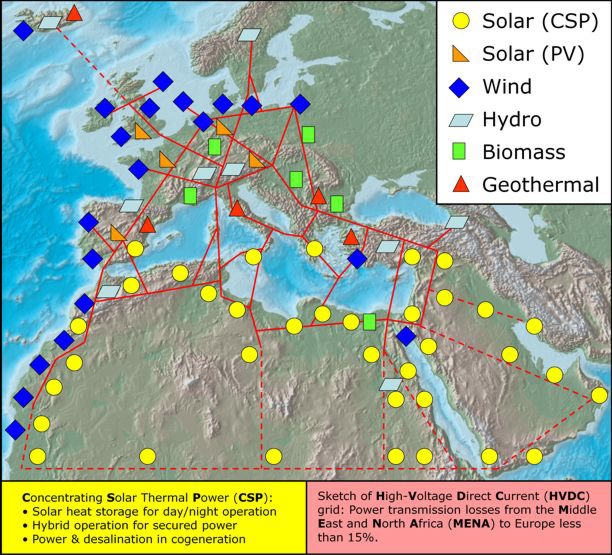 The DESERTEC-Club of Rome EU-MENA Energy supergrid proposal. The issue of biofuels was one of the most hotly contested issues at Bali and is likely to remain so for quite some time to come. The European Union’s aim to make 10% of its transport fuel consumption derive from biofuels has received praise, but questions are being raised over both the carbon footprint of ethanol production and the tension between food and energy resources it creates. An SUV with a full tank of Ethanol uses enough maize to feed someone for an entire year. This entails a choice for farmers between food and energy, creating a potential security risk as a result of rising food prices and shortages, with the balance further upset by the EU’s subsidization of ethanol imports from Brazil despite the surplus that currently exists, leading to re-exportation. This situation is also reflected in the United States, where the strength of the ‘CornState’ lobby weighs heavily on government decision making. While it is no secret that domestic industries, including ‘clean’ coal, ‘safe’ nuclear and carbon-capture systems, as well as corn, lobby the government for subsidies in exchange for support, it is short-sighted to pursue technologies that fail the environment. Here Europe once again, has a chance to lead by example again by examining the ramifications of the biofuels issue in greater detail and acknowledging the potentially disastrous implications to the people of the developing world who may be forced to choose between growing food which they cannot afford or food for fuel export to the West. Europe should instead focus on other utility energy supply options such as DESERTEC hydrothermal solar power which would assist in the economic development and improvement of the livelihood for the people of the North Africa / MENA region. As ‘Europe’s solar basin’ the MENA region’s frozen conflicts will require political settlement and stabilisation to serve Europe’s 21st and 22nd century energy requirements and thus contribute to the European aim of the promotion of peace. The problem of subsidization extends into existing sources of energy and it is vital to recognize the entrenched bias that already exists. The example of Pacific Gas and Electric in California – which enjoys a 110% tax-credit for every dollar invested in conventional power plants – demonstrates that no change can come about without the erosion of existing tax and subsidization structures that disadvantage new technologies. The situation is compounded in the United States as ‘oil’ and ‘coal’ state senators and representatives are pitched against one another in the battle for political support. Consequently, Europe and the business community have an important task in the run-up to the election to influence legislators and get climate change on the US map. Furthermore, the COP at Poznan will coincide with the gap between an election result and the new administration – there has rarely been a better time to exert pressure on the US. Whilst the US has been slow to act at the national-level, some states have grasped the initiative, with California in particular, showing some promising signs. Governor Schwarzenegger’s signature of Assembly Bill 32 (AB32), should lead to mandatory emission caps and the establishment of a carbon trading market in the state. 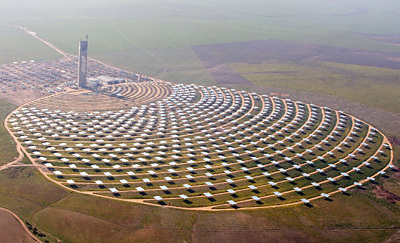 Furthermore, the state has a 20-year history with one of the leading forms of non-fossil fuel energy product – Concentrated Solar Power (CSP). This is a proven, effective solution that can function on a large scale and whilst reliant on direct sunlight, can conserve power and deliver energy at night. After a long period of stagnation due to falling costs of conventional energy sources, the soaring price of oil and gas has made the technology increasingly viable and has received strong corporate backing in the form of Google. Such ‘Big Solar’ technologies represent a fundamental paradigm shift in energy production and when combined with the development of geothermal, hydro, nuclear and cleaner coal power, can have a significant impact on emissions targets. The outline of the DESRTEC Club of Rome proposal involving solar power production in North Africa and parts of the Mediterranean supplying Europe, are a good example of the potential answers to Europe’s future energy requirements. Whilst there are obvious security issues to be considered, the potential for energy cooperation to act as a facilitator for political dialogue is clear and the proposal highlights the importance of streamlining the climate change and energy security debates within foreign policy. There are clearly many other cases where similar forms of cooperation around alternative forms of energy production are possible and hold the potential to foster trans-border relations and regional integration. Organisations like the EU, could provide a carrot in the form of incentives for the creation of cross-border entities to foster such cooperation on a regional or sub-regional basis. However, such technological solutions only represent one side of the multifaceted approach needed to tackle climate change. Monetary incentives for ‘good behaviour’ are also fundamentally important in the development of a ‘green’ market and carbon trading represents a vital piece of the puzzle, but the present system is faltering. The corporate sector has a vital role to play and carbon credits must be made easier to trade commercially, as well as being better regulated and substantially increasing in value. Until this happens, voluntary systems such as the 500,000 hectare forest sink project in Borneo will play a vital role, but these also must be properly regulated and promoted. Governments must therefore be prepared to step in and shoulder some of the risks, providing corporations with the incentives and security necessary to ensure their participation at the state level and through new and current mechanisms at the supra-national level. Furthermore, the analysis of climate change must be made more accessible to the corporate sector as a whole. While ‘corporate social responsibility’ may be the minimum requirement, reducing the analysis from the macro to the micro-level would help business leaders see the benefits of being involved in such processes. Likewise at the macro-level, Bali, Poznan and Copenhagen and the ongoing discussion between and beyond are laying the foundations for a new dimension of issue focused global governance. The challenge for all actors concerned will be whether we will be able to reach consensus through a satisfactory arrangement that both takes the legitimate needs, concerns and aspirations of the developed and developing world into account and whether short term interests can be transcended in the peremptory immediate to long-term interest of humanity and our undeniable responsibility to succeeding generations and to the planet’s ecosystems and habitats of which we are merely the custodians. What is certain is that the negotiations to come will require a patient understanding of all viewpoints, a respect for consensus of opinion, the willingness and ability to compromise for the greater good and the desire to overcome what will no doubt be a challenging and difficult process for all, but one based on the best interest of preserving our planet. There is simply no way that emission quotas can even be considered without fundamental shifts in consumer attitudes and perceptions and those of the major polluters. Whether it be in terms of consumption patterns, regulation, energy conservation, improving travel efficiency or sourcing locally, the individual consumer citizen and the major polluters must actively strive to limit their footprint. The NGO sector and the media have a significant role to play in this by promoting a more efficient way of life that does not rely on hoped for scientific advancements, which no doubt will come, but perhaps too late to pick up the pieces. Action not words are required. Until decision makers are ready to give a corporeal voice to the spirit of the world’s collective conscience through the establishment of a new forum for inter-civilizational dialogue of peoples at the global level. Namely, a global “Common Assembly” or ‘World Senate’ (based on the 1952 model of the European Parliament) the world will have to make do with ad-hoc issues based forums of global governance. One might add that the melting of the polar ice caps is a damning indictment of the inefficiencies of contemporary governance. Climate change presents not only the greatest and most impending planetary threat, but also the greatest opportunity and reason to establish a new structure of planetary governance. egulatory and policy level of the state, of the integrated and integrating regions and of the planet, and most importantly the synthesis of climate change and security within foreign policy. Such convergence is already happening within NATO, though not always by design and the military has a central role to play in conflict prevention, border disputes and humanitarian efforts linked to climate change. The military is also a significant political lobby in most countries, particularly the USA and could do more to alert its governments to the security implications of climate change. To do this, agreement on how global insecurity is accentuated by climate change is vital, along with a clear agenda on how this may be tackled. Although the response requires far more than ‘hard security’ responses to tackle climate change is not only a battle; it is as stated by Ban Ki-moon, ‘The defining challenge of our age’. There is however hope on the horizon, although it is already too late to reverse the immediate effects of current adverse effects of human activity on the world’s climate and the melting of glaciers around the world and the polar icecaps, global policy in the short term will have to mitigate these effects by forward planning for the global security implications, limiting the suffering of affected populations and creating new forums of dialogue to ensure that the impending state based competition over hydrocarbon resources does not lead the world back into an age of war between nations. 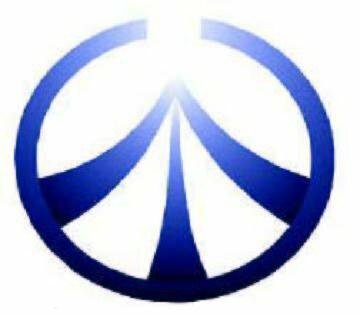 The glimmer of hope that does present itself is the capacity of human ingenuity when faced with a seemingly insurmountable problem. We must remember that to date there has not been a war over water since Sumerian times and that when looking at the Middle East and water scarce regions of the world, the fact that water is such a precious resource essential for the survival of life impels states and powers to come to cooperative arrangements rather than fight over them. This offers a potential future of cooperation and dialogue as the hydrocarbon resources deplete. Likewise the seemingly insurmountable problem of the city wide public health crisis of nineteenth century London was solved by a centralised solution: the construction of a modern city wide sewerage system under centralised authority. 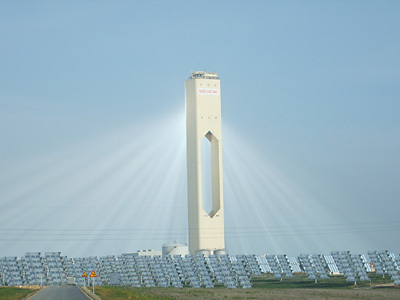 The depletion of the Ozone layer that absorbs 97-99% of the sun’s high frequency ultraviolet light that is damaging to life on earth and human DNA was caused by proliferation of Chlorofluorocarbons, (CFCs) finally, after the negotiation of the international treaty: the Montreal Protocol, and enlightened action by the major polluters, CFC production was sharply limited beginning in 1987 and phased out completely by 1996. Today scientists have verified that the Ozone layer is recovering even though it will take a further one hundred years to fully recover from the damage that was wrought. Although it would not be wise to blindly hope for technological solutions to the climate crisis and the world’s energy needs, it is not idealistic to place hope in the capacity of human ingenuity to develop solutions to problems when faced with a crisis. It is the responsibility of this generation to devise the technological and political solutions that will see humanity and the planet survive the end of the Hydrocarbon age and progress through the next thousand years of history. The challenge for global governance will be to create the structural forums that will allow for the expression of the ideas and the solutions and most importantly for their effective implementation at the global level. Like the 1952 European Parliament the ‘Global Common Assembly’ or ‘World Senate’ would have no legislative power, but would be an independent forum to represent peoples at the global level in addition to the existing world powers. However like the European Parliament, the World Senate would overtime, gradually acquire a moral authority and eventually accrue a legislative capacity. Similarly emulating the 1952 European Parliament, the World Senate would be comprised of elected and appointed national parliamentarians, and go further to include former heads of state and government from all the world’s states serving as independent World Senators thus putting to good practical use the wealth of collective experience that currently only finds an outlet in occasional and already established global governance fora.